Jessica Simpson has been busy being a wonderful mum, but the star has returned to Weight Watchers and wants to be in shape for her wedding. And we applaud her! We can all learn a little somethin’-somethin’ from Jessica Simpson’s New Year’s resolution. It’s not an ideal number on the scale or a list of ways to say “no” to yourself. It’s quite simple. . . look great in your wedding dress. In a recent advertisement for Weight Watchers, the 33-year-old star emphasized the importance of small goals and commitment to them. Simpson is planning to use her impending wedding date as a target for weight loss after baby nombre deux. Simpson has been engaged to the retired NFL player Eric Johnson since 2010, but her two consecutive pregnancies have inadvertently foiled the wedding plans. She gave birth to daughter Maxwell in 2012 and initially lost 70 pounds on Weight Watchers. Half a year later, Simpson confirmed her second pregnancy and gave birth to son Ace in June 2013. The singer is now back on track again with the weight loss programme. . . and her wedding. We can get excited! Unless, another child is secretly on the way. 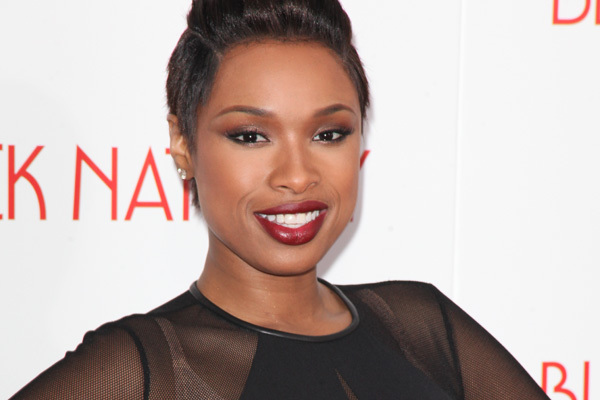 Jennifer Hudson is a true testament to determination. Since 2010, the actress lost — wait for it — 80 pounds with Weight Watchers! That is incredible. You can’t even tell Hudson ever had a baby. She’s got one of the most enviable physiques in the business. Since Tina Fey had to be on camera for Saturday Night Live, the comedian turned to Weight Watchers to help her get in shape. Not only is it impossible to guess that Fey is more than 40, but you definitely cannot tell that she’s had two children. Nope. Not possible. Ginnifer Goodwin has been a fan of Weight Watchers since a very young age and has turned to the programme every time her weight yo-yoed. The Once Upon a Time actress has previously stated that she finds this to be the only weight loss programme that doesn’t make her miserable. Which of these gorgeous ladies do you find to be most inspirational in terms of weight loss? Selena Gomez might have lupus, but she’s not alone! Who’s the better Pantene spokesmodel: Gisele, Eva, Zooey or Queen Latifah?